Jacob’s mom found me after seeing some senior portraits on my Facebook page! That was just the reminder she needed to get her own son’s portraits scheduled – and thankfully we were able to make it happen in time for her to get Jacob’s graduation announcements out! A huge congratulations to Jacob for graduating from Douglasville’s Harvester Christian Academy this weekend! 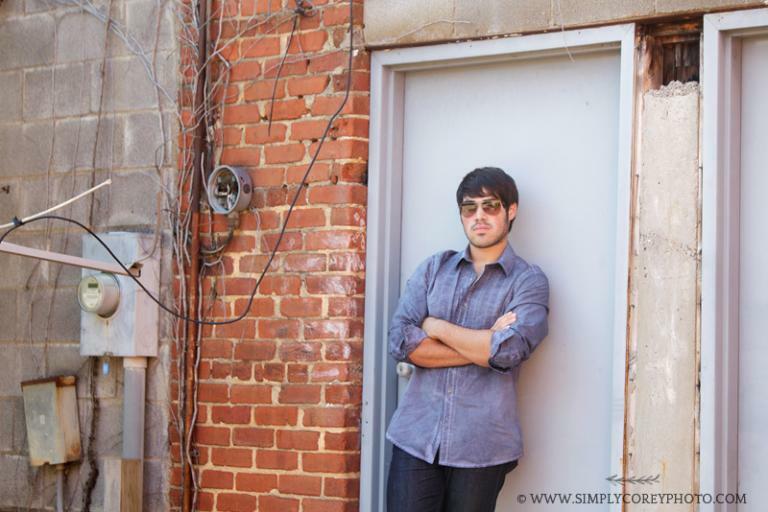 I love that Jacob brought his aviator sunglasses to his session. Senior guys can accessorize too! Jacob did so well during his downtown senior portrait session. The urban location definitely fit his style! and she wanted some of the boys together too. I am pretty sure we spent most of our behind the scenes time laughing – and, as you can see, some of that laughter was during the session itself! He was able to switch back to his serious looks without a problem though! We found the perfect spot to photograph Jacob with his car – an awesome Toyota FJ Cruiser. I love how these turned out! Simply Corey Photography is located in West Georgia, near Carrollton, Newnan, Douglasville, Villa Rica, and Bremen. I began my photography business in late 2004 and have photographed many teens, high school seniors, and families throughout metro Atlanta since then. Custom portrait sessions may take place at my private outdoor location or the location of your choice within greater Atlanta. Locations farther than 30 miles from me will require a small drive fee. Would you like some more information? 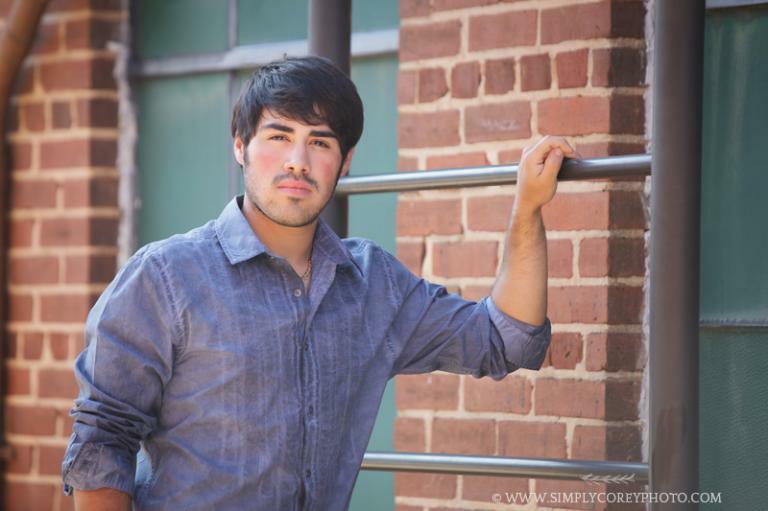 I have put together some information together for high school senior sessions with Simply Corey Photography, as well as several other types of portrait sessions. Each link provides examples of my work, what to expect, and starting rates. You may request detailed pricing and my availability by sending me an email!